Visit the Chamber's New Website. 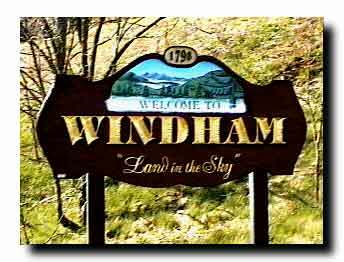 To check on the status of your membership please call 734-3852 or email to:Greater Windham Chamber of Commerce. Nick Bove, Windham Mt. Bike Shop 734-4700; Peter Brabazon, Mountain Top Realty & Property Management 734-6200; Dan Frank, Ski Windham 734-4300; Deb Helmedach, Catskill Savings Bank 734-3991; Bill Higgins, Higgins Land Surveying 734-3758; Mary Lawyer, Be My Guest B &B 734-5653; Dom Randazzo 734-6957; Rick Rasmussen, Hotel Vienna 734-5300; Kaye Regan, Flowers by Kaylyn 734-5328; Sandy Schellhorn, Schellhorn Painting & Stone Masonry 734-3426; Frank Steinherr, Frank's Ski Shop 263-4491. Deb Helmedach, President; Kaye Regan, Vice President; Dan Frank, Treasurer; Sandy Schellhorn, Secretary.